One of my most-loved cookbooks of the past year is Nina Olsson’s Veggie Burger Atelier. It’s not just because I have a weakness for veggie burgers–it’s also because the book is full of inventive recipes and flavor combinations that get me excited about cooking. This is the kind of cookbook I love–ones that are completely inspiring, that I find myself turning to again and again. 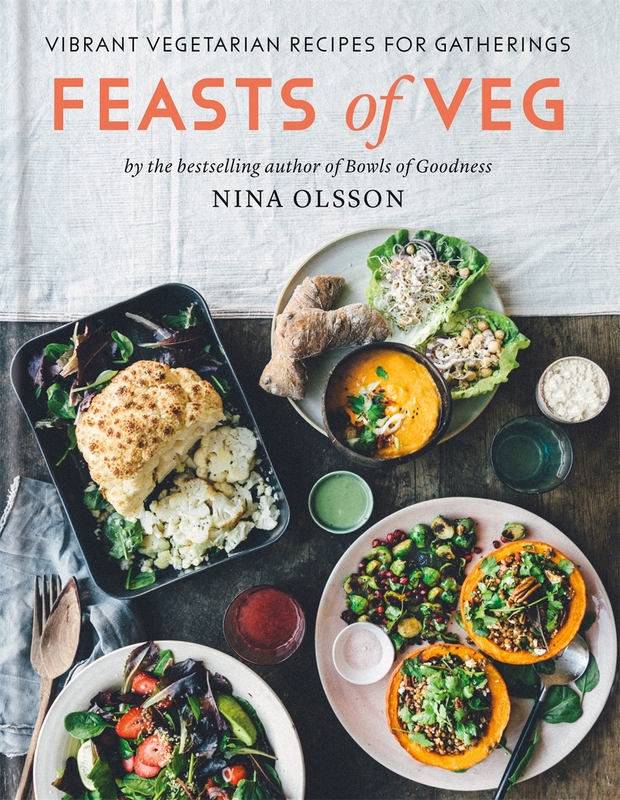 So naturally, when I found out Nina Olsson released a new cookbook, Feasts of Veg, I was pretty certain I’d love it–and, spoiler alert, I did. While the cookbook centers around vegetarian recipes for gatherings, I bookmarked plenty of ideas for weeknight dinners–Zucchini Involtini, Jackfruit Bulgogi Salad, and Crispy Sesame Broccoli are all recipes I plan on making for my family soon. And the Chai Carrot Cake? That might just make an appearance at the dessert table this Christmas. This Broccoli Soup and Feta Cream takes something familiar–broccoli soup–and gives it an upgrade with a swirl of tangy cream. The soup is simple enough to make on a busy weeknight and because it keeps in the fridge for a few days, it works for meal prep too. However! It’s also a great choice for entertaining–serve it in small cups as an appetizer or buffet option with homemade crostini on the side for dipping. Put all the ingredients for the feta cream in a blender or food processor and blend until smooth. Set aside until ready to serve. Heat a deep saucepan over medium heat. Add a drizzle of olive oil and fry the shallots for 5 to 6 minutes, stirring. Stir in all the remaining ingredients and bring to a boil, then reduce the heat and simmer for 10 minutes. 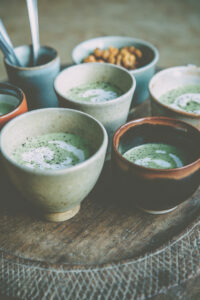 Transfer the soup to a blender or food processor and blend until smooth, or blend directly in the pan with an immersion blender. Serve topped with a drizzle of the feta cream. Both the soup and the feta cream can be prepared 1 to 2 days in advance and kept, tightly covered or in an airtight container, in the fridge. Reheat the soup gently before serving. To make this recipe vegan, ppt for vegan yogurt and nutritional yeast rather than feta cheese, vegan rather than Greek yogurt, and agave syrup instead of honey.